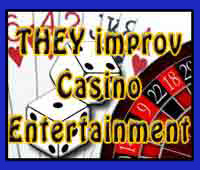 THEY improv provides improv comedy, game shows and murder mystery dinners for casino entertainment options for a variety of groups and gatherings around South Florida. THEY have a variety of team building and hospitality training programs to enhance guest relations and employee morale while helping to improve relations with high-rollers. This allows us to help your business and to increase your offerings for group sales to help fill your rooms and banquet space while keeping people on property to enhance your gaming revenue. Bringing the best performers together for your next South Florida casino corporate event or private party at area hotels or convention facilities is what THEY are all about. For South Florida casino corporate comedy event entertainment, THEY are prepared to provide a professional and beneficial service that will help you achieve the success you desire and be remembered for years to come. Already the leaders in new and innovative corporate comedy, THEY have joined together with some of the area's top comedic talent to create a team that will help make your South Florida casino corporate event or private party a huge success! Experienced in performing around the country at top venues where gambling is prevalent (such as Las Vegas, Atlantic City, Los Angeles, Gulfport, New Orleans, Tampa, etc. 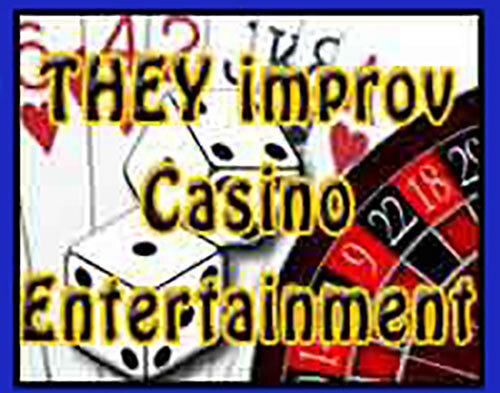 ), THEY are prepared to help you with South Florida casino corporate event entertainment keyed to your needs. With a variety of features available, such as improv comedy shows, game shows, murder mystery dinner shows and teambuilding events, THEY improv can put together a corporate event in your South Florida casino that will achieve your goals and be remembered by all who attend for its success. Find out how THEY can help you succeed in the Sunshine State beyond all your expectations! Whether you are preparing event at the Hard Rock in Hollywood, the Isle of Capris in Pompano, Magic City in Miami, Dania Jai Alai, Gulfstream Park or Mardi Gras in Hallandale, the Seminole Coconut Creek, Calder, on board any of the many gambling cruises sailing from Haulover, along the Intracoastal or from Bayside Marketplace, or any other venue, we can arrange a production that will make sense for your group. We will work with the South Florida casino to get you the entertainment that your group needs. THEY improv leads the way for South Florida casino corporate event and private show entertainment with murder mystery dinners, game shows, improv comedy and other acts. If you have a company looking for unique and entertaining methods for improving your business, look to THEY improv. 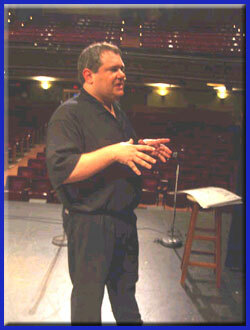 Contact us by email at info@THEYimprov.com or by calling (305) 948-7750.